The award winning Izmi Carrier means that parents and babies can enjoy the soft intimacy of a fabric sling, with the support and comfort of a buckled carrier. The soft fabric of the baby carrier hugs your baby’s shape and size bringing them the very best in comfort. For you, that means lots of ergonomic support without any bulk. The washable material is lightweight and quick drying. Offering the best of both a wrap and a carrier, you can use the Izmi Carrier from birth. 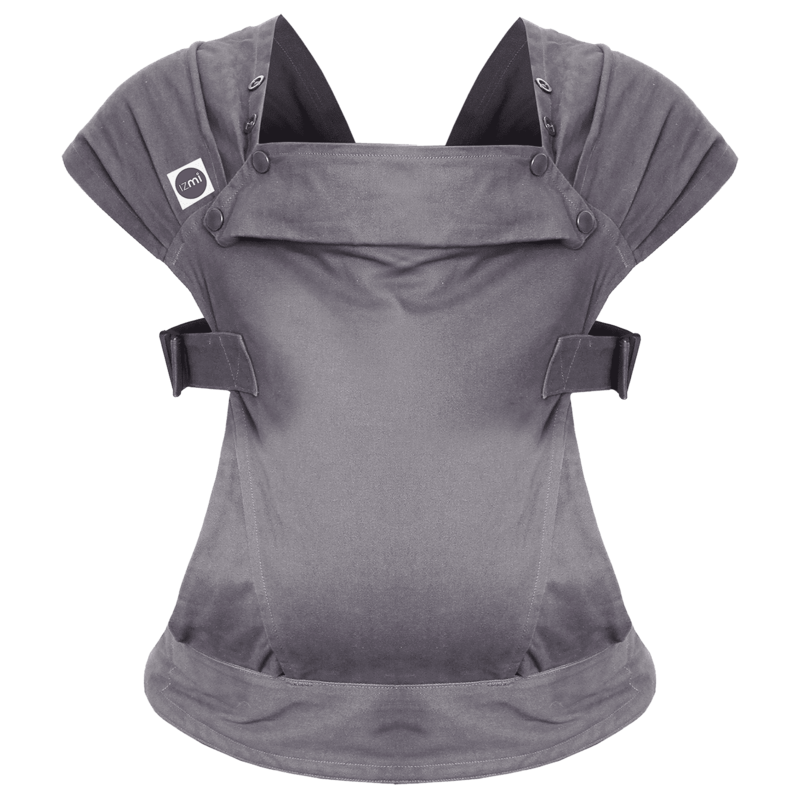 Cleverly designed to adjust, fit and modify around your growing baby while keeping you comfortable. Fully supportive, wrap-like design distributes your baby’s weight evenly to reduce pressure on your back. Hip healthy design keeps babies in the best possible position, with an adjustable seat to provide the best support from birth onwards. Fully adjustable head support to ensure safe carrying from newborn. The Izmi baby carrier allows you to safely and securely carry your baby in four comfortable positions; front carry (plus newborn option), front facing, hip and back carry. The Izmi baby carrier is incredibly practical and can be used throughout the day no matter where the day takes you. Supplied with a carry bag for easy storage. The Izmi Baby Carrier was designed by Emily Williamson, a mother and expert babywearing consultant. After extensive research with both Mums and Dads tackling common problems Emily designed the Izmi carrier in the UK to be comfortable, supportive and long lasting with the approval from the International Hip Dysplasia Institute. Who is the Izmi Carrier made for?